Do you have a dresser that you are about to pitch? Save those drawers! Old drawers once transformed can make great hanging display cases. 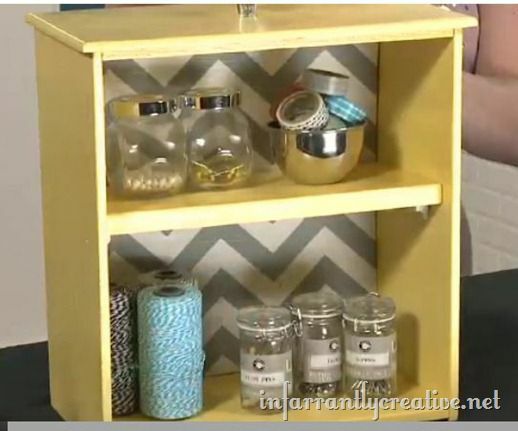 Today on Get a Little Creative I show you how I turned an old drawer into a cute display case. The whole show is on Roadkill Rescues, which you know I ADORE! I turned a simple old drawer into a beautiful display case with some chevron fabric and a little Krylon spray paint. 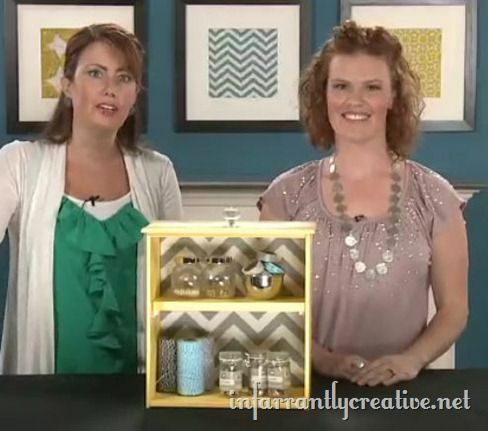 Come check out the full video tutorial on how to create this pretty little diddy.